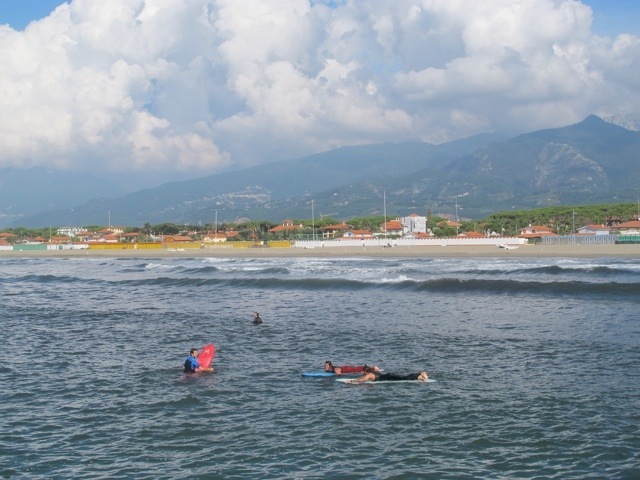 The beautiful Versilia Coast in northern Tuscany is only an hour away from Bagni di Lucca, making a trip to Viareggio, Pietrasanta and Forte dei Marmi an easy day trip. There is a long strip of sandy beach stretching as far as the eye can see with a magnificent backdrop of marble filled mountains. 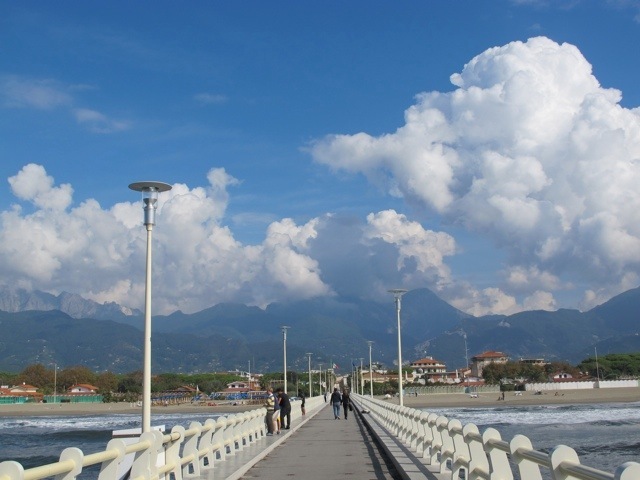 The view from the pier at Forte dei Marmi is one of my favorites in Italy. I have occasionally seen surfers waiting patiently for a wave at Forte dei Marmi. Click here to see more on the beach at Forte dei Marmi. 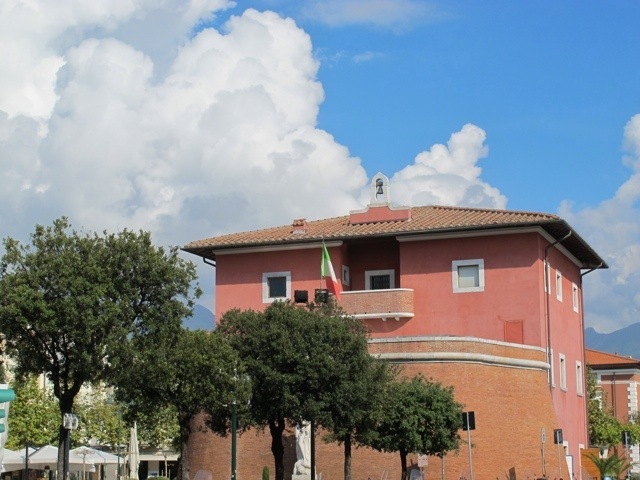 Forte dei Marmi is a beautiful town full of stylish shops and restaurants. I love the little fort, Il Fortino, in the centre of town. The fort was begun in 1782 for Leopoldo, the Grand Duke of Tuscany to view and defend the surrounding territory. It also served as a customs office. Behind the fort is a restaurant of the same name. I strongly recommend you go to Il Fortino for lunch. 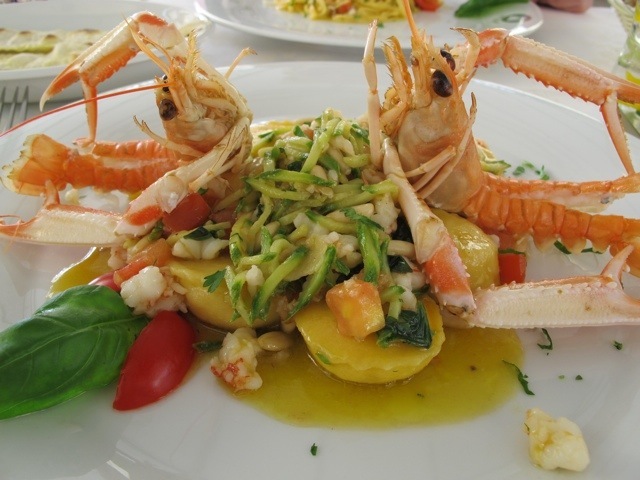 No trip to Forte dei Marmi is complete for me without branzino ravioli with scampi sauce. 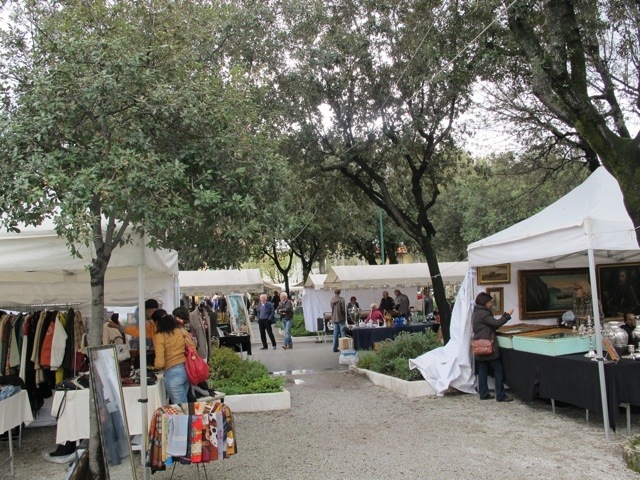 There is a delightful antique market in Forte dei Marmi once a month…every second Sunday and the preceding Saturday. Pietrasanta also has a beach, but I prefer to visit the town, famous for its art galleries and artists’ studios. It has a beautiful piazza with a lovely church. The piazza is often filled with fabulous art works. 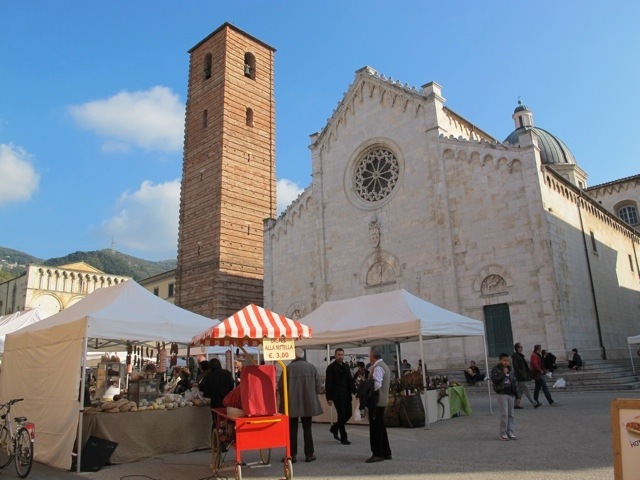 There is a wonderful food market in the piazza the same weekend as the antique market in Forte dei Marmi. 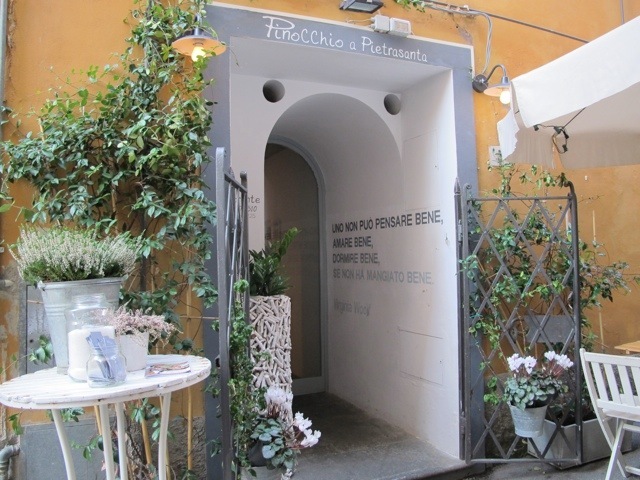 I had a delicious lunch at Pinocchio in Vicolo San Biagio 5. We also like Osteria alla Giudea in Via Padre Eugenio Barsanti where I particularly like the spaghetti with anchovies. 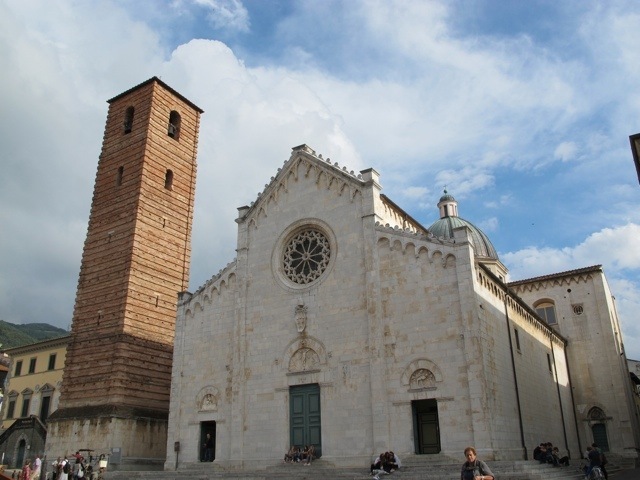 Click here to see more on Pietrasanta. 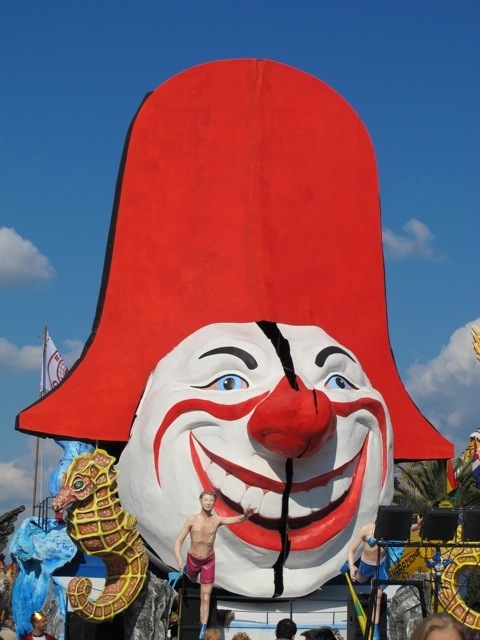 A great time to visit Viareggio is in February for the magnificent Carnevale parade of floats. I have been 4 times and can’t wait to see the event next year. Click here to see more on the Carnevale. 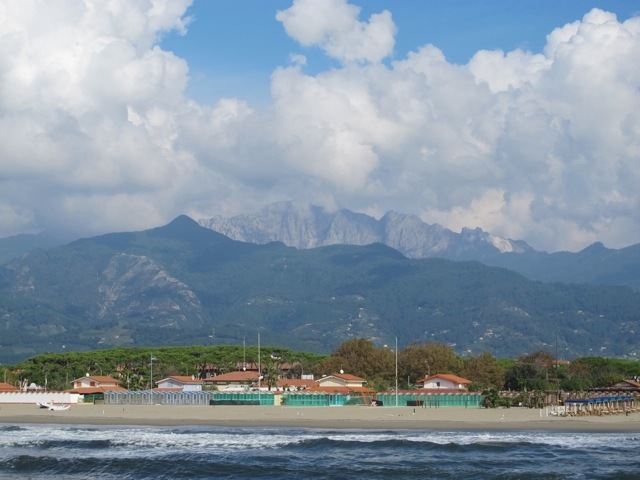 The quickest way from Bagni di Lucca to the Versilia Coast is to drive to Lucca and take the autostrada. It will take about 1 hour to reach the coast. There is also a very pretty road through Camaiora that will take a bit longer but it can be worth it for the drive through fruit orchards and olive groves. It is possible to take public transport as well. Take the Lazzi bus to Lucca and change there for Viareggio. There are buses from there to Pietrasanta and Forte dei Marmi. There are also trains from Lucca.